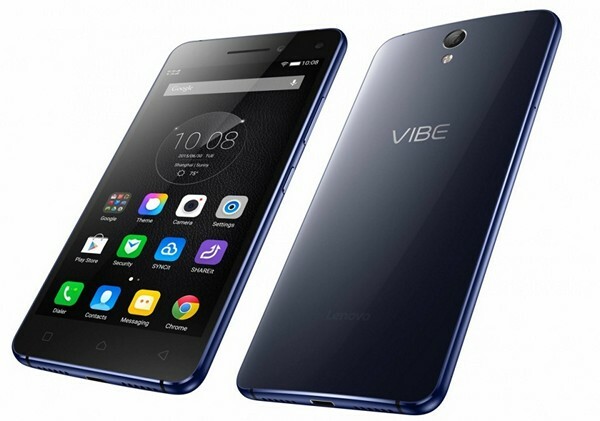 Chinese manufacturer Lenovo has launched another affordable device in its Vibe series in India. The device has been dubbed as Lenovo Vibe C. It has been priced at Rs. 6,999 and will be available in Black and White color options. The Lenovo Vibe C runs on Android 5.1 Lollipop with Lenovo’s Vibe UI skinned on top. It features a 5 inch display with a resolution of 854 x 480 pixels (FWVGA), which brings the pixel density of the phone to ~196 PPI. While it is not made made of metal, it comes with a polycarbonate shell with curved corners. The Lenovo Vibe C is powered by a 32 bit Qualcomm Snapdragon 210 quad core processor clocked at 1.1 GHz. The device comes with 1 GB RAM and 16 GB internal storage which can be further expanded up to 32 GB via microSD card. The device comes with dual SIM support. There is a dedicated microSD card slot so the user need not remove a SIM card for using microSD card. In other words, you can continue to use two SIMs and a microSD card simultaneously in the phone. The Lenovo Vibe C sports a 5 MP primary autofocus camera with f/2.2 aperture and LED flash. On the front of the phone, there is a 2 MP camera for selfies and video calling. The camera comes with features such as geo-tagging, touch focus andface detection. Connectivity options on the device include 4G LTE, 3G, Wi-Fi 802.11 b/g/n, GPS/A-GPS, MicroUSB 2.0 port and Bluetooth 4.0. The launch of the Vibe C comes just a few days after the launch of Zuk Z1. The highlight of the Zuk Z1 was that it ran on Cyanogen OS 12.1 based on Android 5.1.1 Lollipop. The Zuk Z1 has been priced at Rs. 13,499. However, the Lenovo Vibe C will come with Android 5.1 Lollipop with Vibe custom UI on top. The Lenovo Vibe C is available online at a price of Rs. 6,999. It is available in White and Black colours.